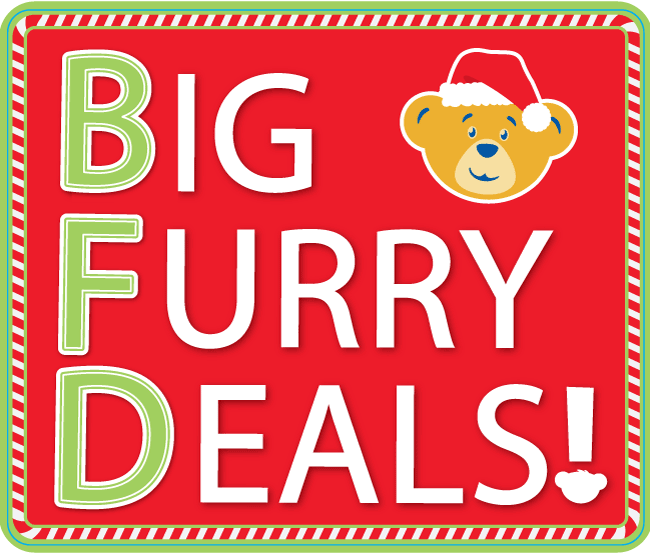 Build-A-Bear® Black Friday | It's Going to be a Big Furry Deal! Thank you for helping us make Black Friday 2018 a BFD! Our 2018 deals have officially ended, but we’re already preparing for the year ahead. We’re excited to share just how big and furry our 2019 offers will be, so please stay tuned – and in the meantime, check out our exciting new arrivals in stores and online throughout the year! Full details for all these exciting offers are coming soon! Join our mailing list and keep an eye on your inbox! Build-A-Bear Bonus Club Members regularly receive early access to our most exciting offers throughout the year, and they'll be among the first to know when our Big Furry Deals are revealed for Black Friday! Join our Bonus Club today to get all the exciting Build-A-Bear Black Friday 2019 details before anyone else. It's free and easy to become a Bonus Club Member, so sign up today to join the fun!